Valentine's Day is one of my favorite days of the year. I love everything about it. The colors, the decorations, the idea of expressing your love.... 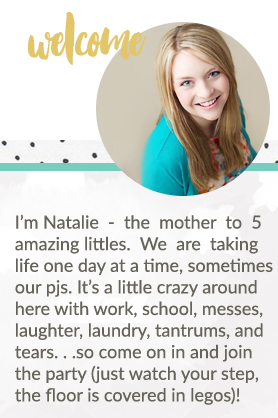 I love it all. 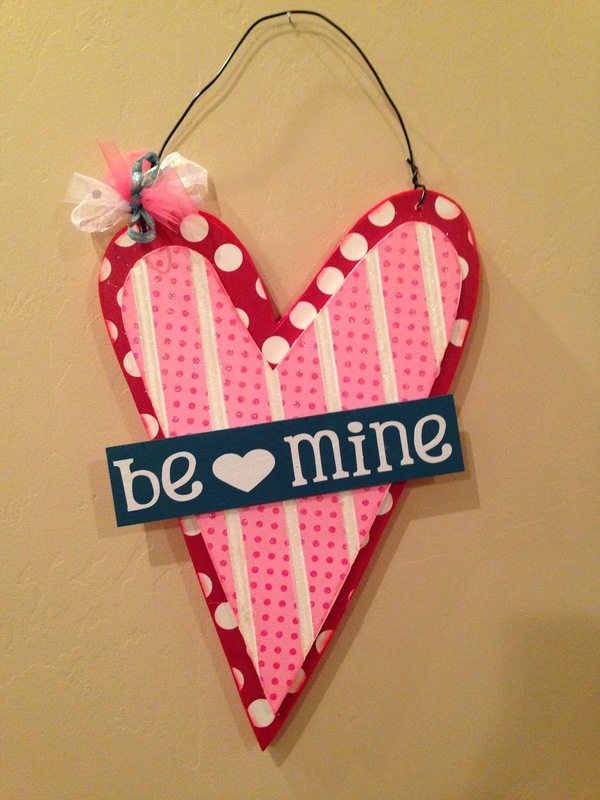 This year I made a few Valentine's Day crafts for our house. I thought they turned out pretty cute. We invited our play group over for a Valentine's Day party. 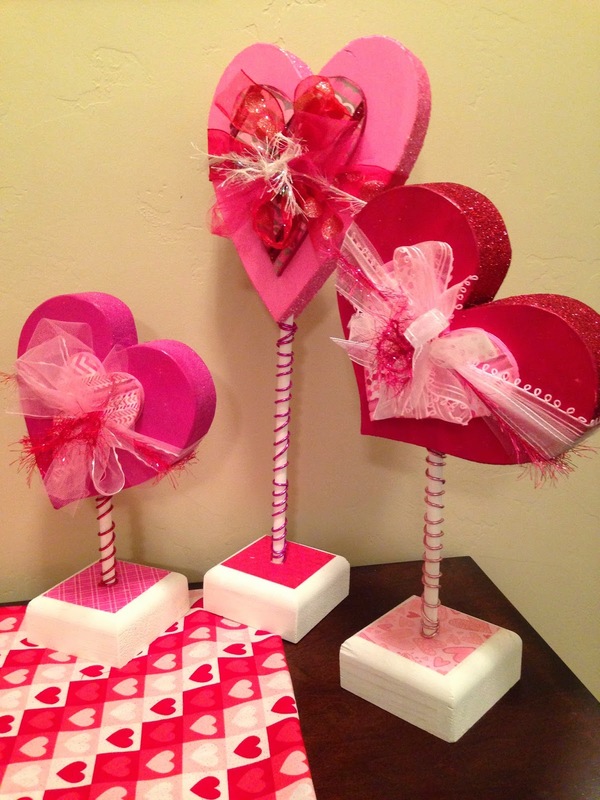 Each of the kids made mailboxes and we handed out valentines for each of them. It was crazy chaos, but the kids loved it and it's fun to get together with all of our friends. 13 kids, 3 babies, and 7 moms. 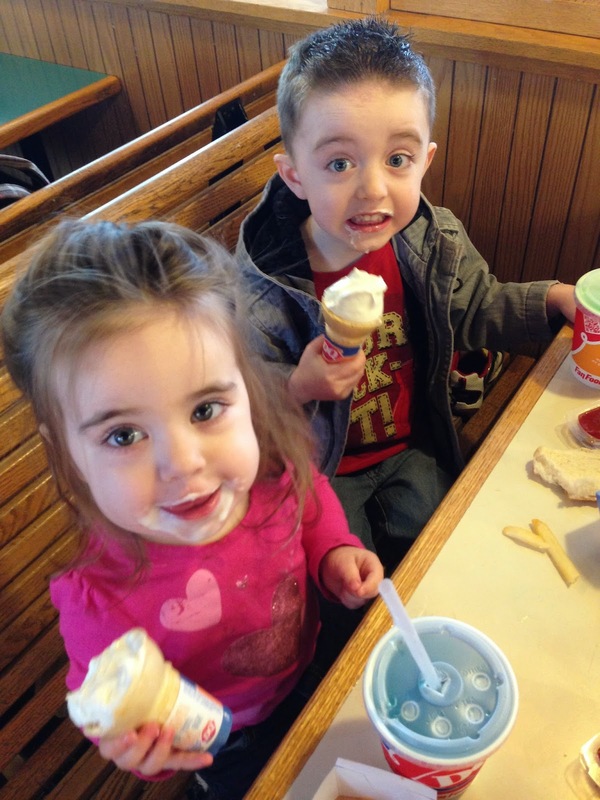 My parents send the kids gift cards to Dairy Queen for Valentine's Day, so I decided to take the kids out for lunch. 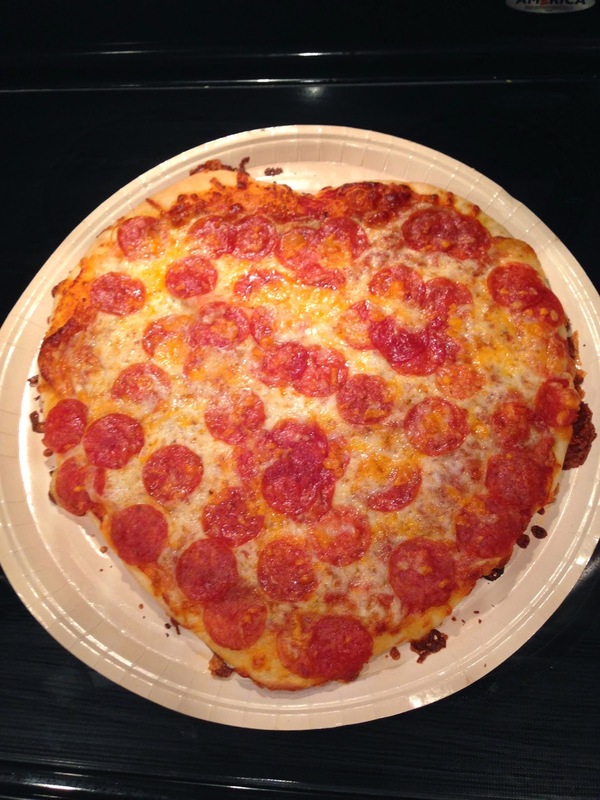 We went to DQ, went and got balloons (our tradition), and then picked up a heart-shaped pizza for dinner. We normally also make sugar cookies and deliver them to our friends, but this year we didn't get around to it. Since Jason had class that night, Carly and Will came over and hung out with us for a little bit.